Have you ever wondered seeing the celebrities flashing their glittering, metallic smiles that look too good to be true? Well, for the record, celebrities and public figures, who awe us with those perfect smiles got a secret. That secret is cosmetic dentistry. Did you know that celebrities such as Kylie Minogue, Tom Cruise, Drew Barrymore, Katy Perry, Gwen Stefani, Justin Bieber, Emma Watson, Dakota Fanning, and numerous other celebrities sought orthodontic treatment before getting their shiny smile? They wore braces to fix their less than perfect teeth. Not just celebrities, you too can easily get your teeth fixed through cosmetic dentistry and flaunt a great smile. It is particularly easier if you live in “The Sunshine State” Queensland, AU as you can get specialised treatment from one of the orthodontist Gumdale clinics there. Cosmetic dentistry is not the best kept secret of public figures anymore and has gone mainstream. Nearly every dentist these days offers some kind of cosmetic dentistry procedures. Starting from minor changes to major oral surgery, there is a range of cosmetic dentistry techniques that can treat dental flaws and fix discoloured, chipped, or missing. Such flaws dent confidence of many, and if you are one of them it’s time to fix them. 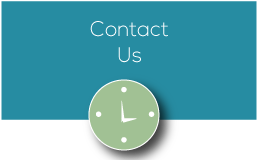 All you have to do is seeking cosmetic dentistry services that one of the many orthodontist Gumdale companies provides. During the treatment if you need to wear braces, don’t hesitate as there is much more than those visible wires. Once your teeth get fixed, it’s you who will be flaunting that confident and winning smile. 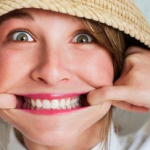 Are you still thinking if cosmetic dentistry is right for you? Here’s what you need to keep in mind for making an informed decision. 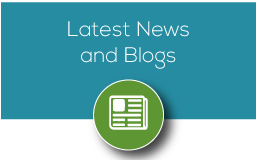 Think about the benefits you can get out of your cosmetic dentistry treatment. Poorly aligned or broken teeth bring along a number of undesirable effects like lowering your self-esteem. Flashing a smile with beautiful teeth oozes confidence, especially for people who are into public speaking or need to socialize often, a crooked smile can be a spoiler. Fortunately, the practice of orthodontics that has been around since the ancient Egyptian era can solve this problem quite easily. 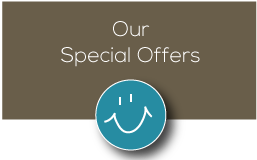 Seeking services of an orthodontist Gumdale clinic can get you the solution, helping to wear the smile you desire. Materials for that Metallic Smile! What’s behind that glistening smile? Let’s know. In the modern cosmetic dentistry, specialists use various materials such as gold, amalgam, and other metals for dental fillings and other tooth restorations. In addition, materials like resin composite or porcelain resemble the look and feel of natural teeth. Dentists attach these materials to the underlying tooth structure using resin adhesives to make tooth roots stable and your teeth look natural. Some materials may differ in terms of appearance and cost. For example, materials like dental ceramics that mainly contain glass that can replicate the optical characteristics of enamel and dentin. Before the treatment, discuss in details about the types of materials suitable for your treatment with an orthodontist Gumdale clinic that you choose to perform cosmetic dentistry. Composite bonding repairs damaged, decayed, or discoloured teeth using material that matches the colour of tooth enamel. First, your dentist will drill out the area infected by tooth decay and apply composite on the surface, and then shapes and polishes it up just right to match the other teeth. This cosmetic dental procedure repairs the damage to the tooth and gives it a healthy appearance. Composite bonding is an inexpensive cosmetic dentistry procedure that helps patients get rid of tooth decay, cracked chipped teeth, and crooked edges. An orthodontist will use dental veneers for you that are manufactured from high-quality ceramic and resemble your natural teeth. In fact, they look quite realistic and able to fix a host of dental problems including cracked, crooked teeth or damaged enamel fill gaps between teeth. A experienced dentists at one of the orthodontist Gumdale clinics can apply the veneer with a dental adhesive. Porcelain veneers, for example, are thin and custom-made, which will cover the front of your teeth. Once your dentist applies it, the veneers correct or cover misaligned, damaged, poorly shaped, or discoloured teeth. These types of procedures are also called “Indirect Fillings.” Dentists apply these when a tooth has moderate decay or there is not enough tooth structure in your mouth to support a filling. Inlays and onlays are one of the cosmetic dental procedures that some of the orthodontist Gumdale clinics offer. During these procedures, your dentist will place inlay directly onto the tooth’s surface. 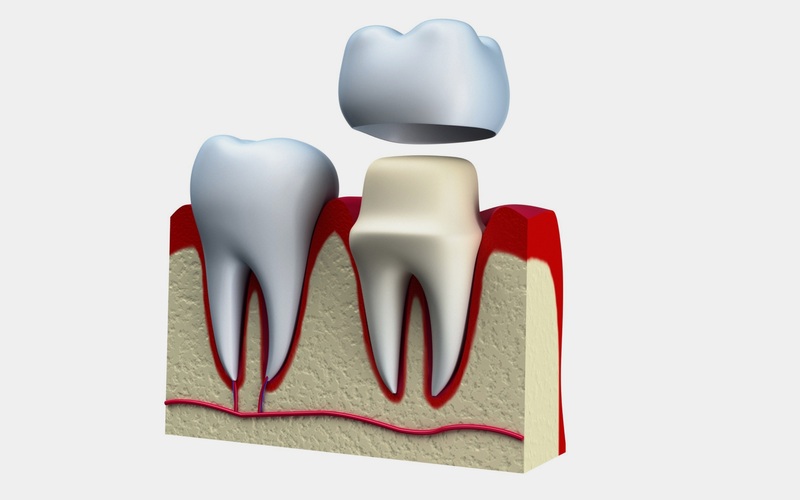 If a greater portion of your tooth is damaged, an onlay is ideal to cover the tooth’s entire surface. Both inlays and onlays come from composite resin material and a dentist attaches them to the teeth using adhesive dental cement. These dental procedures strengthen teeth, restore their shape, and prevent decay or damage. 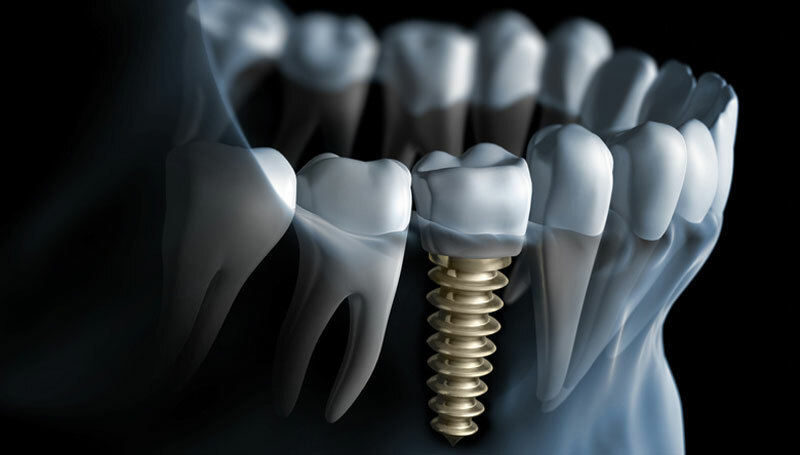 Dental implants are effective for replacing damaged teeth or lost tooth. During the process, the dentist inserts a tiny piece of titanium and fixes into your jaw where a tooth is missing that supports a crown. You will hardly find any difference of these implants from the natural teeth. If your gum condition is good and there is enough bone, your dentist can perform these implants pretty smoothly. However, you need to maintain oral hygiene diligently even after the implant to keep the gum clean. If you’re considering cosmetic dentistry procedures, it is advisable that you choose from the orthodontist Gumdale clinics that offer in-house dental implants at your place where an in-house surgeon will perform the surgery according to your convenience. You can speak with your family and friends to find out if they can refer you a well-known orthodontist. You can also do some research on the Internet to zero in on a dentist after checking their reviews and track record. In dental bonding, the dentist applies a tooth-coloured resin, which is a durable plastic material using an ultraviolet or laser light to attach or bond the material to the tooth. Subsequently, your dentist will trim, shape, and polish it. This cosmetic dental procedure can repair cracked, decayed, or misaligned teeth. It also protects your tooth roots that are vulnerable to gum recession. The entire procedure is virtually painless, and usually takes about 30 to 60 minutes per tooth. Teeth whitening is one of the basic cosmetic dentistry procedures where your dentist can perform at the clinic. The dentist will perform whitening or bleaching after removing plaque and other debris from the surface of your teeth to restore their natural look. Over the years, your teeth may get stained, worn, and yellowish from food, drinks, medication and also due to personal habits like smoking. Whitening removes these stains and provides a shiny cover to your teeth. A dental crown or cap replaces the entire damaged or decayed tooth above the gum line, restoring its size, shape, strength, and look. Crowns prevent a weak tooth from breaking or hold a cracked tooth together. They are also useful for cosmetically fixing misaligned or discoloured teeth. Crowns are available in metal, resin, porcelain, and ceramic. Your orthodontist can recommend you the appropriate type of crown based on your specific situation. There are numerous orthodontist Gumdale clinics that offer this service, and you just need to choose the right one for this job. The procedure of placing a dental crown normally goes like this – first, your dentist will shape the tooth, and then take its impression along with the surrounding teeth before sending to a dental lab. According to the image, a permanent crown gets prepared. Until the permanent crown is made, the dentist will place a temporary crown. 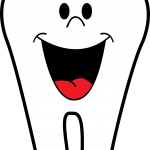 When the entire dental crown procedure completes, it may take some time go get used to it. Over a period, the crown will function, look, and feel like a natural tooth. 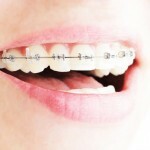 Follow the procedure as one of the orthodontist Gumdale clinics advises. Invisalign is one of the popular alternatives to orthodontic tools like clear braces because it applies a tooth aligner that is not visible. You can get invisalign as they will allow you to straighten your teeth along with maintaining a polished appearance. These virtually invisible aligners are made of a thermoplastic material that fit perfectly over your teeth, and in course of time straighten them just like braces. 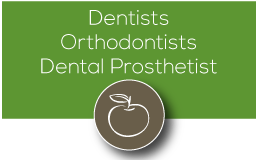 Your orthodontist will choose the right one depending on your specific dental issue. Your cosmetic dentist can use dentures to replace a missing tooth by taking it out and again putting it back into your mouth. There are typically two types of dentures: complete dentures and partial dentures. The purpose of using dentures is to protect patients from the negative effects of tooth loss. Once your dentist performs this procedure, you are free to eat and drink most foods. Moreover, you will not suffer from sagging facial appearance that often occurs in the case of missing teeth. Finally, it is important remember that only a highly skilled and experienced dentist can provide a comprehensive range of cosmetic dentistry services, including the procedures mentioned above. Modern cosmetic dentistry procedures offer less visible and more effective wires and brackets. The duration of the treatment depends on the severity of your problem, the condition of your gum, teeth, and supporting bone. Discuss your issues in details with one of the reputable orthodontist Gumdale clinics that has a proven track record of performing various cosmetic dentistry procedures, and ensure that you wear that sizzling smile! Porcelain veneers – what you need to know? Orthodontics – When And Why? 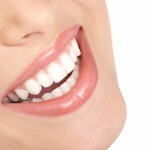 Should You Get the Best Dental Implants in Gumdale Today?